While I was updating my page kits buttons last night I realized that I'd never actually posted the Heartstrings pages on the blog - just sent them to my sweet Club members. I love the pink and Lagoon colors in these pretty papers! 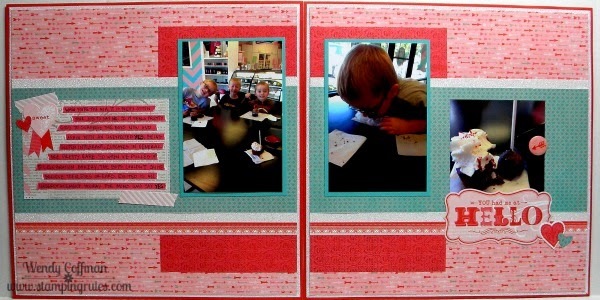 And here's the full pages from the Heartstrings Kit. I printed these pics all on Studio J using the new Express Collection for drop and drag photos. It was great for all my weird square instagrams! You could totally do four 4x6 vertical photos instead. 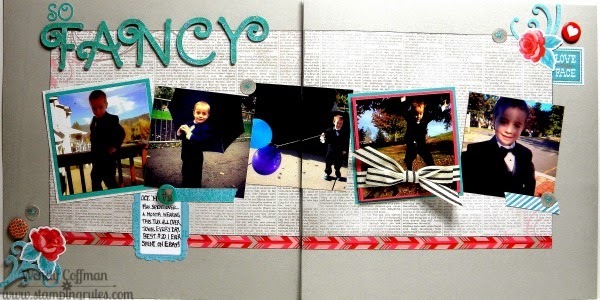 The paper wasn't too girly for my sweet Max tuxedo pics. I added a little flip out album (tied with the bow there) to fit in more pics of my little fancy ham. I refuse to shy away from "girly" papers when scrapping my boy adventures. We were in a sweet cupcake shop, and the boys were so well behaved (for once). Ok, except when Ben licked his crumbs off the table. Doh! 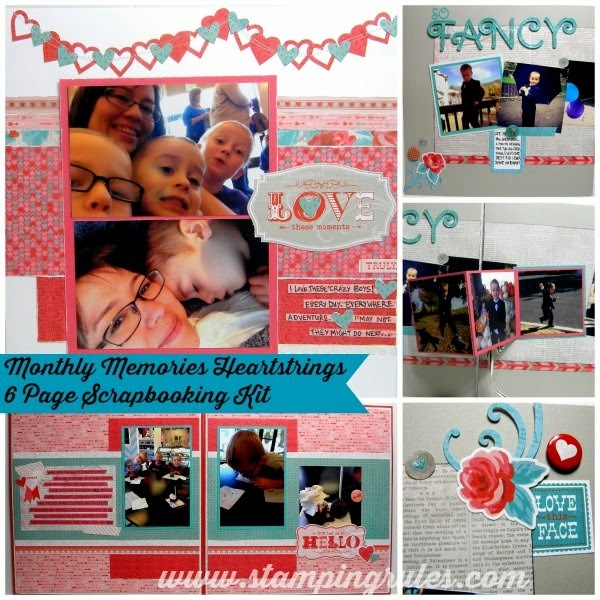 Find this kit and many more over on my no commitment Monthly Memories Club page.